Hugh Farrell: Well, you look like you're not going to New York. Jeff McCord: No, I'm not going to New York. I'm gonna keep on pounding the ABC's of crime into the gold-plated skulls of these babes in arms. Jeff McCord: Law school graduate, law school graduate, law school graduate. Listen to this: Mr. James Davis, Doctor of Law, Doctor of Philosophy, Phi Beta Kappa. Now, isn't that sweet! Phi Beta Kappa! James 'Brick' Davis: [appearing behind them] What's yours... 'Flat Foot-a Copp-a'? Jeff McCord: Who said that? Who are you? When Machine Gun Kelly gave up, uttering that famous line, "Don't Shoot G-Men", he gave the Federal Bureau of Investigation members a moniker that has survived down to this day. He also entitled an upcoming film being made at Warner Brothers about the FBI. Though the FBI had been in existence since 1908, founded during the Theodore Roosevelt administration, it's structure and mystique never took shape until Calvin Coolidge's Attorney General Harlan Fiske Stone appointed a young civil servant named J. Edgar Hoover as it's new head. The place was known as dumping ground for political hacks up to that time and Hoover put an end to it. He brought in the laboratories and fingerprint data base. 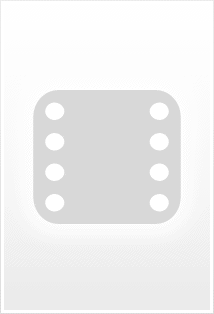 Folks who had law and accounting degrees saw the FBI as a good career now. Crime was now national and a national organization was needed to fight it. Probably if J. Edgar Hoover had put in his retirement at the end of World War II his historic reputation would be a lot higher today. The negative stuff about him only comes during the McCarthy Era and beyond until his death in 1972. And only after that. If Hoover was nothing else, he was media conscious. One of filmdom's most notorious gangster actors went on the side of law and order for G-Men. James Cagney is a young lawyer who's not doing so good in private practice, wasting the education that an oldtime gangster helped finance. 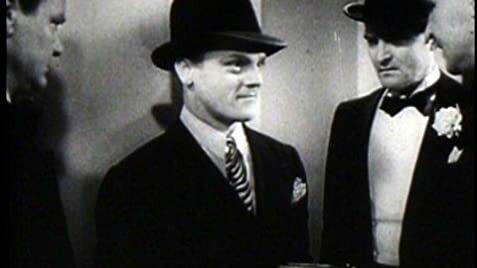 After his friend FBI agent Regis Toomey is killed, Cagney joins the FBI. His knowledge of the underworld is put to some good use though he has a lengthy time winning acceptance from his superior, Robert Armstrong. Lloyd Nolan makes his debut as an FBI agent here also. Later on during the Forties, Nolan played THE ideal conception of what J. Edgar Hoover had in mind for an agent in The House on 92nd Street and The Street With No Name. A couple of incidents fresh in the mind of the public were recreated for G-Men, the famous Kansas City Massacre and a shootout at a rural motel that involved Baby Face Nelson who escaped as chief hood Barton MacLane does here. No doubt these scenes lent a certain documentary authenticity to the film. G-Men dates very badly, the FBI is still respected, but not revered as it once was. 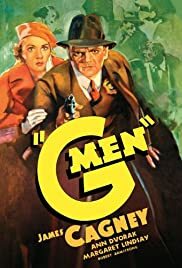 But Cagney and the cast do a fine job and G-Men is a relic of bygone years.